"All-American City" redirects here. For the Brutal Juice song, see All American City (song). The All-America City Award, given by the National Civic League, is the oldest community recognition program in the United States. The Award, bestowed yearly on 10 communities, recognizes the work of communities in using inclusive civic engagement to address critical issues and create stronger connections among residents, businesses and nonprofit and government leaders. Once called the “Nobel Prize for constructive citizenship” – it has been awarded to more than 500 communities across the country. The Award is open to all American communities, from major cities, counties and regions to tribes, neighborhoods, towns and villages. In applying, communities reflect on their strengths, weaknesses, challenges and the progress they have made. Each year hundreds of leaders, volunteers, and young people from the finalist communities travel to Denver to present the story of their work and their community to a jury of national experts. The awards conference includes workshops on promising practices. 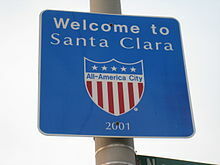 Since the program's inception in 1949, more than 500 communities have been named All-America Cities. Each year, interested communities submit a comprehensive package based on published criteria that are evaluated in the award selection process. Deserving communities are named as finalists, and the year's ten award winners are named from that pool of applicants. Communities winning this award more than two times are listed below. The following cities have received the All-America City Award from the National Civic League. ^ "National Civic League - Advancing civic engagement to create equitable, thriving communities". National Civic League.